Last night the seeing was just perfect, almost 0.8″. The wind was absent. All the weather conditions were good to practice astrophotography from my backyard using my newtonian Telescope Skywatcher 150/750. The target was the giant planet Jupiter. I use a Barlow x3 for higher magnification and the camera was the great ASI224 MC with a Zwo Ir Cut filter. I captured 23613 frames at an FPS of 196 with the software Firecapture! 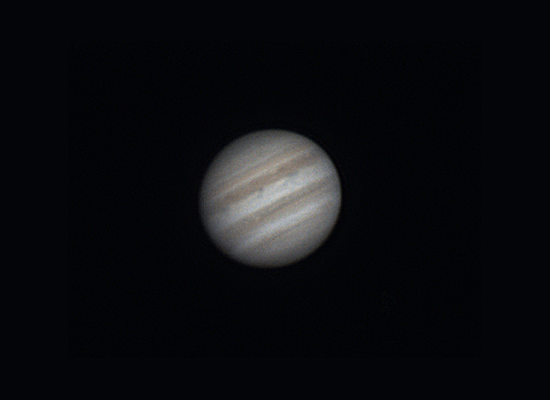 For processing, i kept only 10% of the frames in Autostakkert 2 and then i did wavelets in Registax 6.